It’s hard to think of anything better for long time gamers from the 80s and 90s than iOS. Classic games from our childhood have been reborn on the iPhone platform, and another one appears to be on the way. Tower Studios and Vivid Games, in association with The Bitmap Brothers, have announced the imminent release of Speedball 2 Evolution for the iPhone and iPad. The Bitmap Brothers were the original developers of Speedball, a popular Amiga sports game that was a cross between handball and ice hockey. Only a few details are available and Vivid Games has posted in our forums about the upcoming launch. We have been working very hard over the past few months to bring this classic title to modern systems in glory it deserves. Expect very Amiga experience! The game will be released in 20th Anniversary of Speedball 2 Brutal Deluxe. And yes – there will be multiplayer included + many more features added on a top of original game! While an Xbox Live Arcade version of Speedball 2 was released in 2007, Vivid says they are “far from the XBLA version". A video of the Amiga version of Speedball 2 can be viewed here. Perhaps the most exciting part of the announcement is that they report that Speedball 2 Evolution is just the first in a series of remakes of classic Bitmap Brothers games. 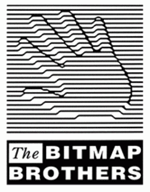 The Bitmap Brothers were also responsible for Xenon, Cadaver, Gods, Magic Pockets, and The Chaos Engine.